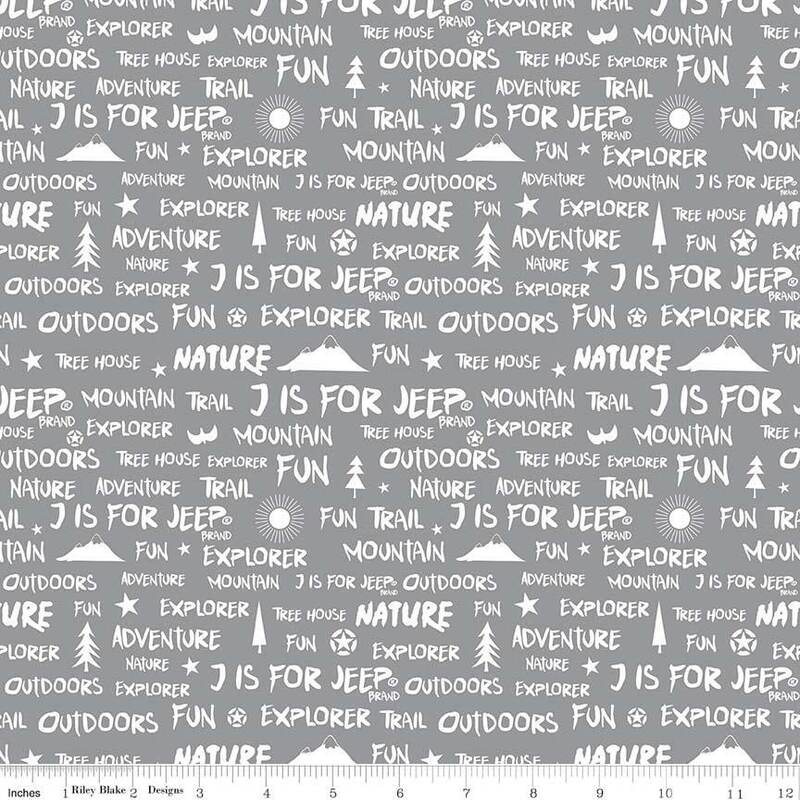 Riley Blake Designs Licensed Collections “J is For Jeep”. 100% cotton, pattern C6464—Words Gray. Great seller and shipped quickly!